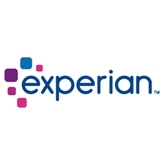 Clarity Services, a part of Experian, is the only real time credit bureau focused on non-prime consumers. We help consumers who typically live paycheck-to-paycheck gain access to modest credit when they need it by helping lenders identify credit risks and fraud to keep down the costs of non-prime lending. We do this by aggregating data from many sources and computing credit attributes in real time. We have large amount of data in mysql and mongodb. We employ rails on jruby within CentOS to process over a million transactions for our customers every day. Our typical response times are 1-2 seconds for a basket of products and we maintain 99.99% availability for our customers. Our infrastructure is located in two hot-hot data centers from a national colocation provider. Our goal is to integrate docker into our deploy chain and migrate more cloud services into our operations. This is a major change that affects almost every control and audit process, as well as the daily workflow for developers and operations staff. We need an experienced engineer to help us plan and implement this large scale project to make this successful.